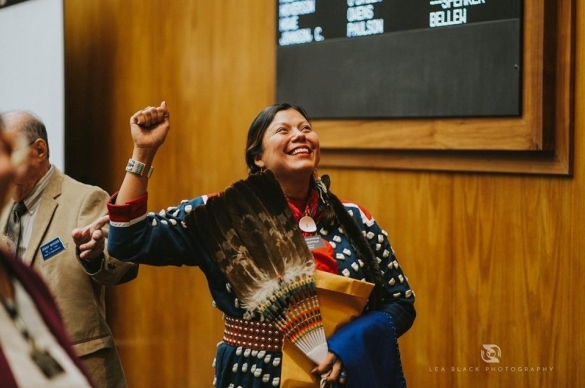 MEE-uh-AY DESH/Ruth Anna Buffalo/Mandan,Hidatsa,Arikara Newly elected ND State House. Ruth was born and raised in rural western North Dakota. 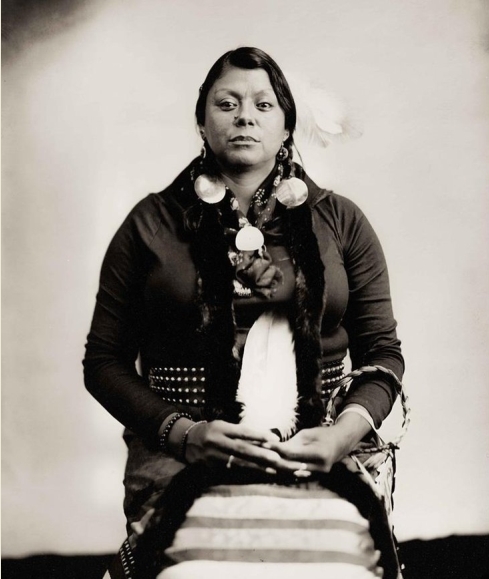 She is originally from Mandaree and born 27 miles from Mandaree in Watford City which is located in McKenzie County. Ruth is the middle child with 3 older brothers and 3 younger sisters. Raised by a single mother, she also grew up with two first cousins to whom her mother raised. Ruth takes pride in her Native American heritage and strong connection to the land. Her grandpa was a farmer and rancher. Her grandma made beautiful beadwork and star quilts and was later a Community Health Representative. Ruth hopes to help heal her communities by reconnecting the youth to their connection to the land through various agriculture initiatives. 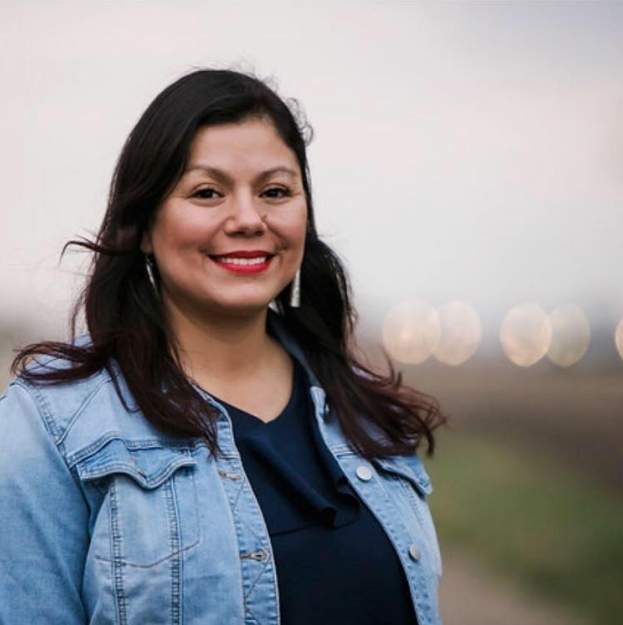 She is the daughter of an outstanding Hidatsa/Mandan woman who is a strong community advocate and who pushed her children to receive a quality education. Her father is a Chiricahua Apache man and US Air Force veteran who proudly served our country. Ruth takes pride in her families long history of service to not only their rural community, but to the United States. Her grandpa's were US Veterans, POW, Korean War, Green Beret, US Army. Her great uncles; US Army, US Navy, one was a Purple Heart recipient. She has uncles who served in the US Army and US Navy and one aunt who served in the US WACS. At an early age, Ruth set out to fix the healthcare issues her family experienced, she is now a public health professional. She has devoted her education and career to improving the health and lives of the public. She earned Master degrees in Public Health, Management, and in Business Administration. Each of these programs have uniquely prepared her for the challenges of making important decisions that impact our future. Above all, Ruth loves community work. Her passion lies in improving the quality of life for all North Dakotans. She is actively involved in several boards and advisory councils ranging from local food systems to low income youth interested in the STEAM fields. She is a proud mother of four beautiful children and married to her college sweetheart. Responses to "Ruth Anna Buffalo elected in the ND State Legislature House of Representatives"